Here's a few of my favourite picks.. This traditional farmhouse is located near the Cotswolds, on a quiet and secluded dairy farm with views over the Severn Vale. 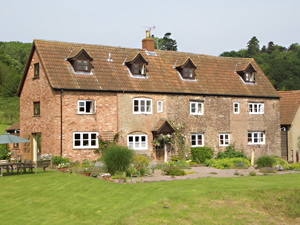 There is riding and walking access to the Royal Forest of Dean, and the house has just two double guest bedrooms. They use locally sourced, organic food where possible. There's also an organic restaurant nearby. This would definitely be the place to visit if you wanted to get away from everything for the weekend. This B&B is located in Cheltenham and is a little more upscale than the previous B&B. Their breakfasts focus on local ingredients and homemade, organic and fairtrade produce. Eggs are free range and from their own chickens, or supplied by a local farm and each morning fresh organic juice and locally pressed apple juice is on offer as well as a choice of artisan sour dough breads. The owner, Nikki also keeps honey bees....yep, you've won me over! I found this B&B via the Soil Association website. This family-run, organic farm is perfect for many occasions - you can even get married in the beautiful hall! 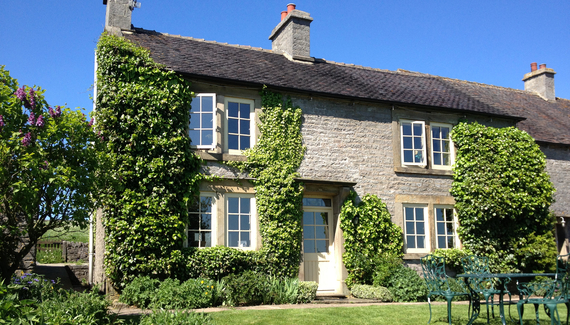 It looks like such a peaceful and quiet place to stay, with views all around the bedrooms of the Peak District. Organic breakfasts are served in the morning and you can even hire a Swedish style hot tub, heated cave or barrel sauna. Have you ever stayed in an organic hotel/B&B?